You're probably not going to find gum stuck to the table (at least we hope not!) but the underside of tables and chairs deserve some attention. 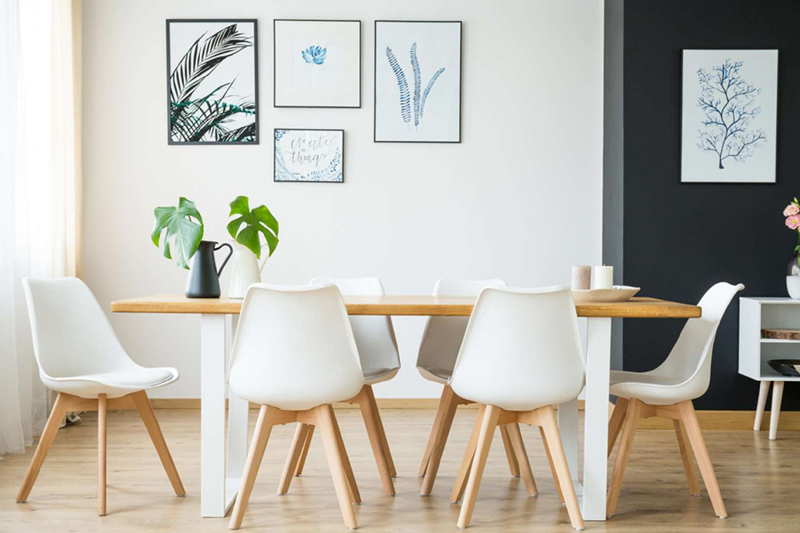 'This is an often overlooked spot that gets grimy and gross as people pull their chairs up to the table with their dirty hands,' says professional organizer, Jamie Novak, author of Keep This, Toss That. If you have young children, you have an additional reason to clean: Chances are there are probably bits of food and streaks of ketchup on the underside of the table. Curious kids may be tempted to pick at the underside of the table and put the dried up food in their mouth. Is your eyesight getting bad or is your room really that dim? Although we usually dust the fan blades, we often neglect the actual globes and lamp shades of lighting fixtures. 'At first glance, these may not seem dusty, but once you wipe one you will see a noticeable difference,' says Novak. Remove the globes and wash in soapy water, rinse, and air dry. Dust the inside of a lampshade and then wash with soapy water in the sink. Rinse and let air dry. 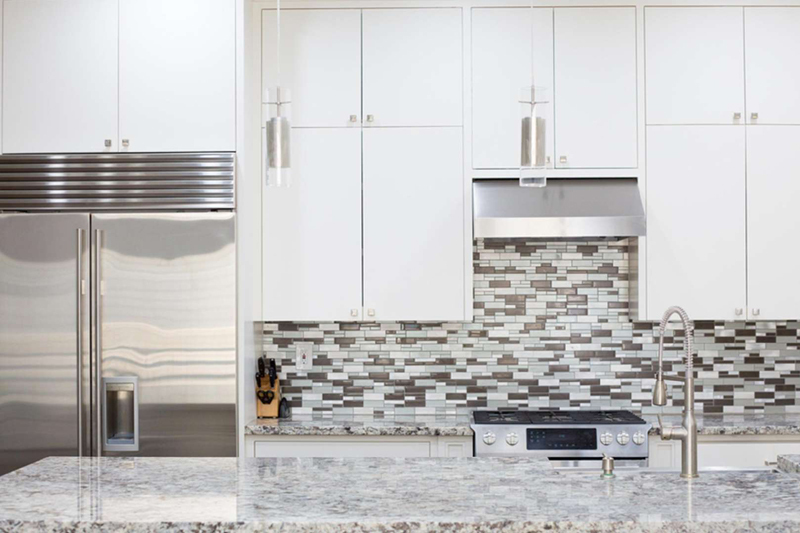 The area behind your kitchen sink, stove, or prep area largely goes unnoticed because we focus more attention on the countertop areas where we can clearly see the messy surface. Over time, the splatters and grease can accumulate quite a buildup, Novak says. 'A quick wipe and it may be very noticeable just how dirty the area has become.' 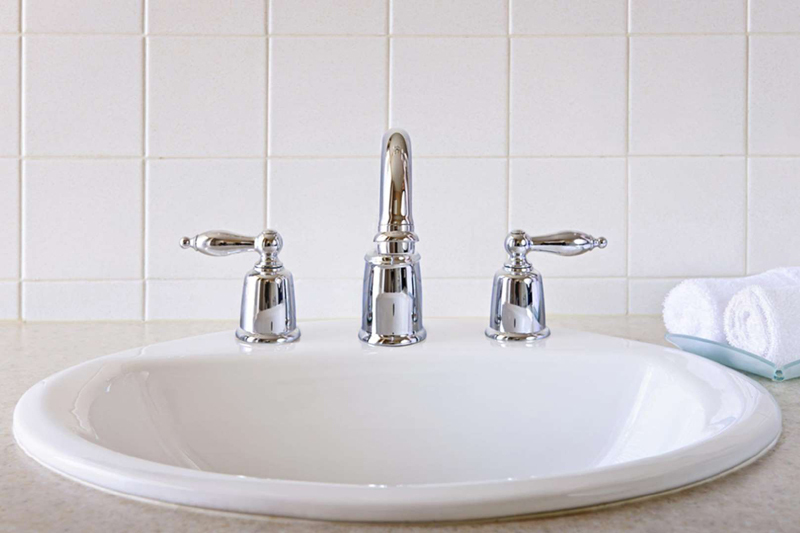 Don't forget about your bathroom backsplash area and the sneaky grime buildup you can't see because it is behind the faucet. A toothbrush will get into the crevices around the base of the faucet and handles. According to Novak, small appliances are something we shouldn't miss during spring cleaning. 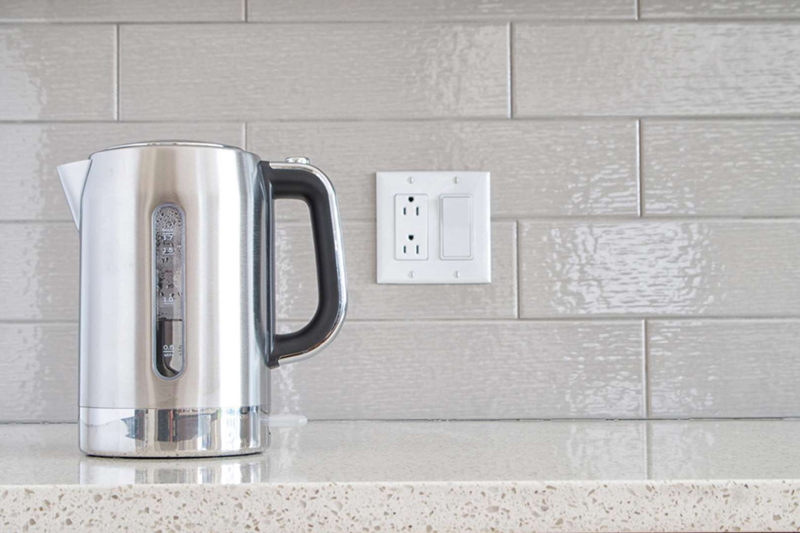 Can openers, toasters, coffee makers, and toaster ovens are our daily culinary heroes of the kitchen and all that constant use takes a toll. We either put them away dirty or leave them exposed to the grease and food splatters. Empty the crumb trays on the toaster, and clean the can openers to prevent food contamination. Why would we need to clean something that churns up food from dishes or food prep if we're rinsing it down with water with each use? There is always some amount of food left behind, especially in the crevices in the actual disposal and the rubber ring. 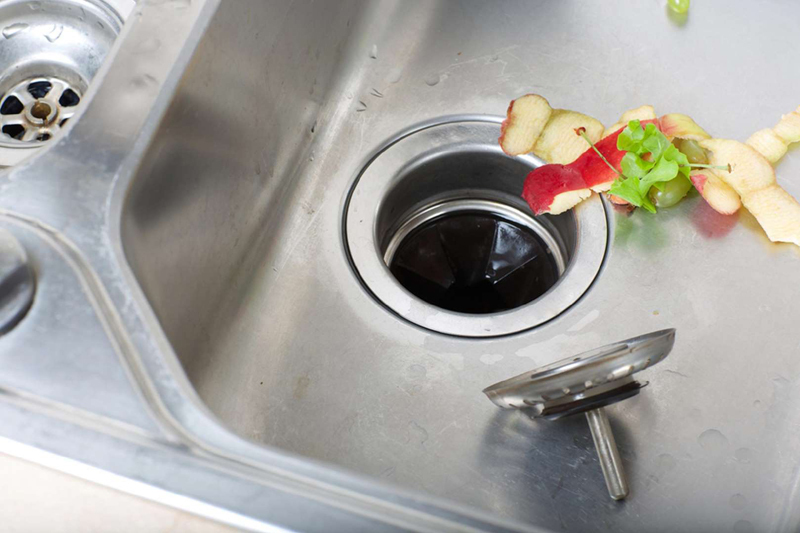 These leftover pieces linger and become a breeding ground for bacteria which can make us ill when it comes into contact with our food we're rinsing in the sink or by touching it with our hands. Meg Roberts, president of Molly Maids, says even pesky fruit flies can be attracted to the garbage disposal. To clean it, make sure the disposal is turned off. 'Put on a glove, use a cloth soaked in disinfectant and wipe the underside of the black, rubber ring,' says Roberts. 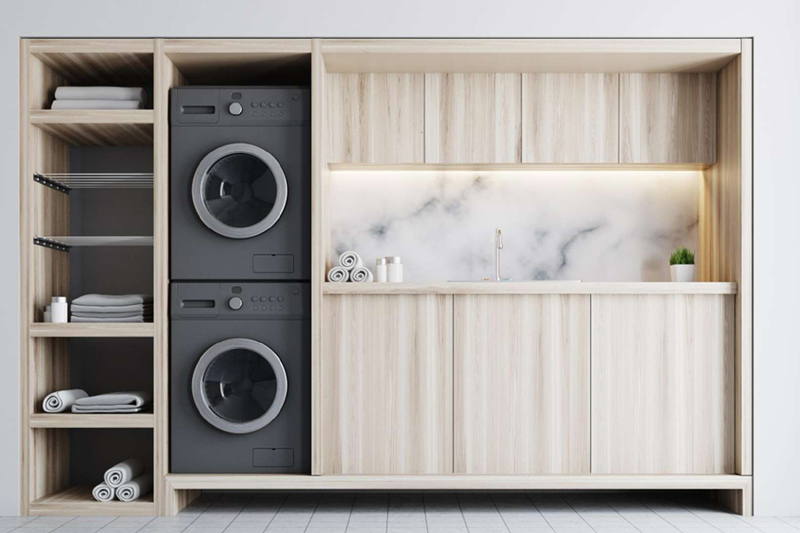 Your clothes may smell April fresh, but according to Anna Caricari, Two Maids & A Mop area representative, the laundry room is constantly accumulating dust. 'Rust and mold can also grow quickly because of the use of water and chemicals,' says Caricari. If your washing machine isn't smelling so fresh, wipe down around the barrel and compartments. For top loaders, fill the washer with hot water and pour 2 cups of vinegar and 1/4 cup of baking soda. Cycle through a wash and rinse. For front loaders, mix the above ingredients and add 1/4 cup water to make a detergent and place into the detergent tray. Don't forget the dryer vents, which when plugged contain flammable material. Always remove the lint after each cycle but during spring cleaning seep under and behind the washer and inspect the dryer vent. Dryer vents can make for a cozy home for rodents or birds. 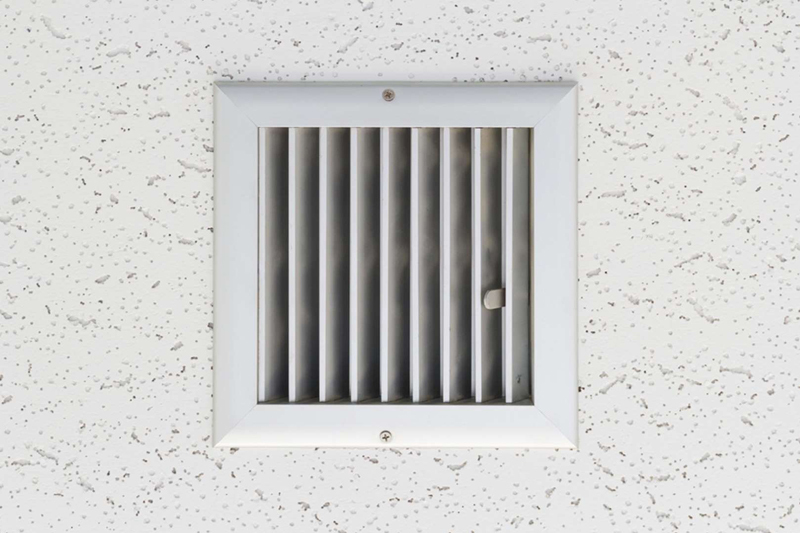 If you have a gas dryer, lint-clogged exhaust vents can force carbon monoxide into your home. We may open those cabinets on a daily basis but usually just reach for the stuff in the front. Do we know what's lurking in the back? Robert Weitz, a certified microbial investigator and founder of RTK Environmental Group says we should definitely put these on our spring-cleaning checklist. 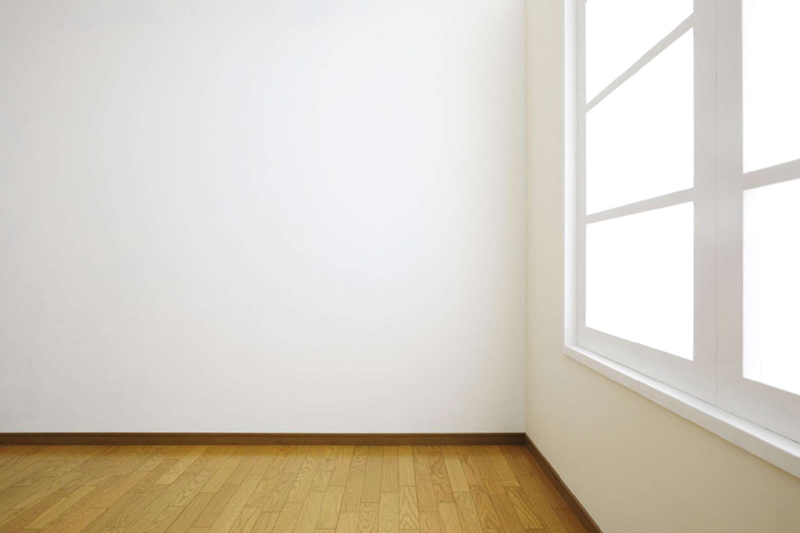 The only way we will know if there is a leak or water damage is to have a clear and clean view. 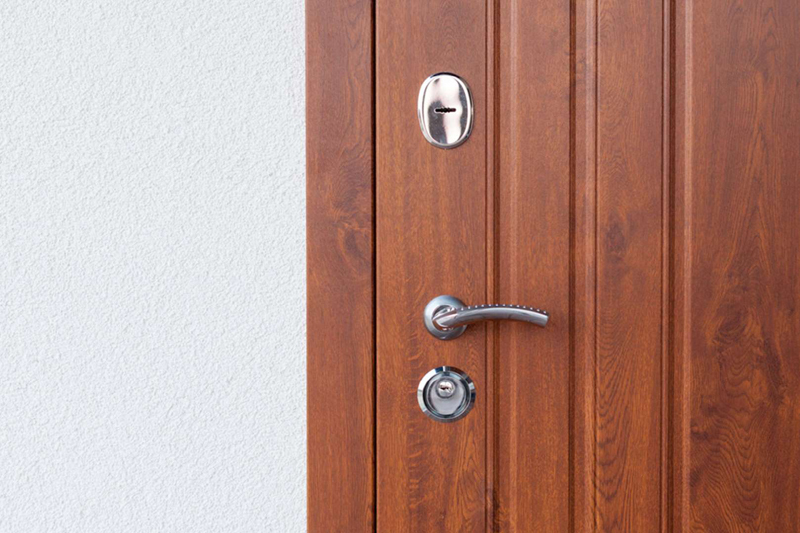 'You may have a problematic leak that is causing unhealthy mold or staining, which can lead to much greater problems,' says Weitz. One of the rites of spring is opening windows to let the fresh air in. 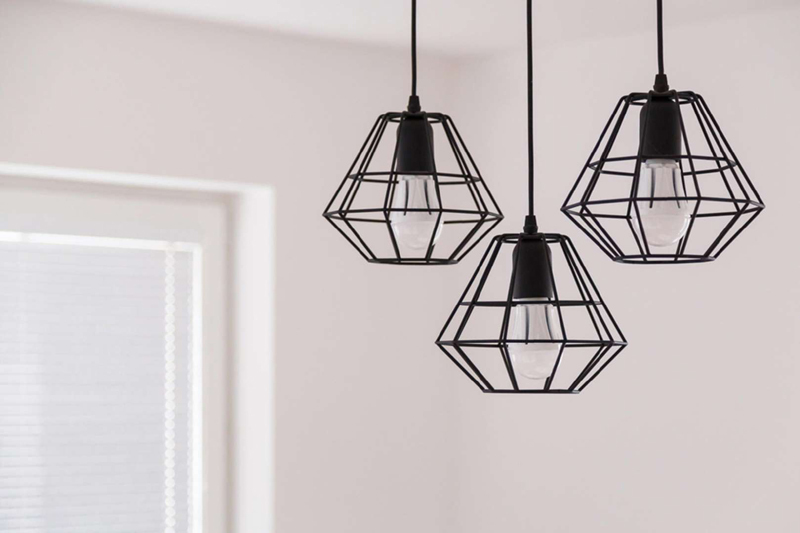 We may feel like we're 'airing out' the house, but we could actually be blowing more dust around if we forget about certain items. Stuffed animals, accent pillows, curtains, and throw rugs are favorite hangouts of dust and allergens. Be sure to wash or dry clean to cut down on dust and allergens and you may avoid some springtime sniffles. If allergies or asthma are a problematic, Kimberly Byrne, RN and pediatric asthma program manager at Banner Children's at Cardon Children's Medical Center suggests vacuuming carpets and rugs weekly with HEPA filter bags to keep dust and allergens from recirculating back into the air. Bedding, curtains, and washable rugs should be washed in hot water once a week. You probably wipe down the top of the toothbrush holder during your weekly cleaning but something nasty is in the bottom of the holder you shouldn't ignore during spring cleaning. 'Residue from water and toothpaste tends to run down to the bottom of the holder, forming a dark and moist place where bacteria can grow rapidly,' says Becca Napelbaum, cleaning expert at on-demand home service app, Handy. 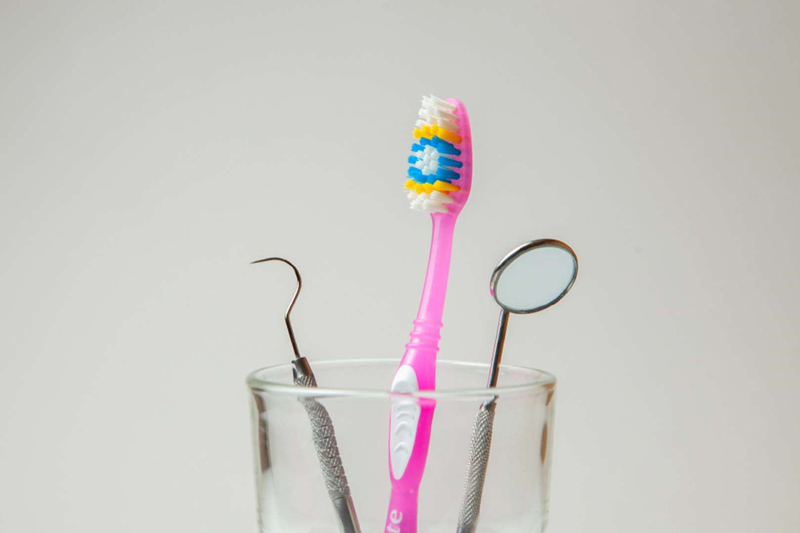 'Make sure to give your toothbrush holder a good clean during your big spring clean and then clean it regularly to prevent the bacteria from traveling to your hands and mouth. 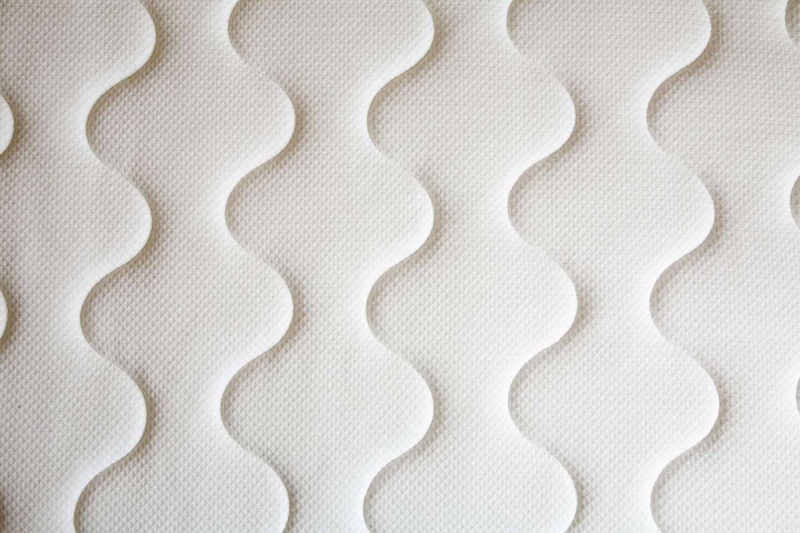 Spring reminds us to flip or rotate our mattress but we probably don't think about cleaning the mattress—it's always covered with sheets so it must be dust-proof, right? According to Napelbaum, they harbor dead cells and dust, which can irritate our sleep. If that makes your skin crawl, make sure you know how to prevent and destroy bed bugs. 'Make sure to give it a good vacuum with an upholstery attachment and give it a good whack whilst it is propped upwards against the wall. To remove odors, lie the mattress back down and sprinkle with baking soda. Leave the baking soda on for two hours before vacuuming it off,' says Napelbaum. 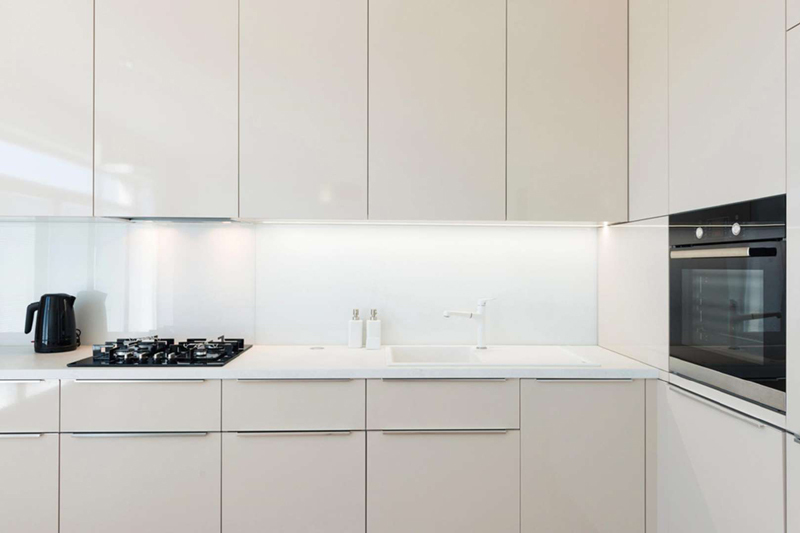 If you want to maintain the beauty of your wood kitchen cabinets, your spring cleaning list should definitely include these. 'Dust can mix with grease and break down the finish on your kitchen cabinets,' says Leslie Reichert, Green Cleaning Coach. 'You have to be careful around those corners where people's handprints get sticky. The oils in our hands mix with the finish and break down the stain. Don't neglect the tops of cabinets either. 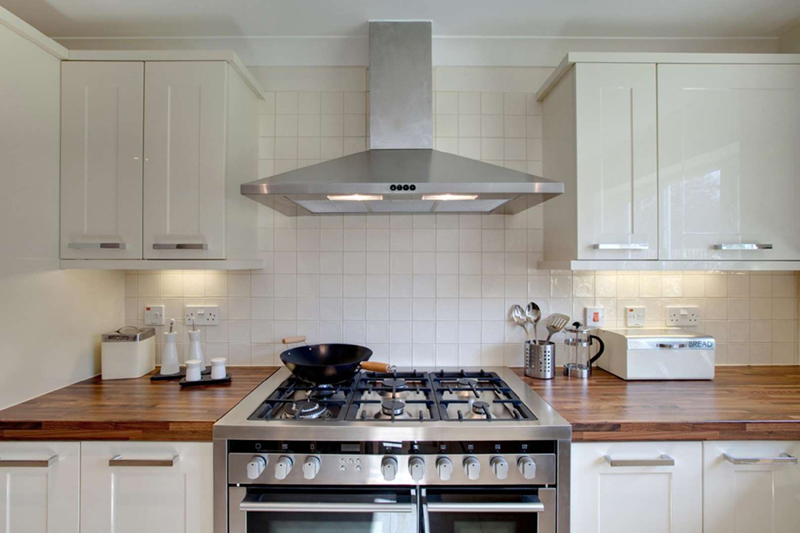 'Tops of cabinets can get permanent damage from dust mixing with grease. It forms a thick layer that can't be removed without damaging the wood,' says Reichert. Try rubbing alcohol to cut the grease and follow up with soap and water. You use your cleaning supplies to clean, so the question is are they as sanitary as they should be? Those scrubbers, cleaning cloths, and dusters should be wiped off and disinfected. Take time to shake debris off the dusters and broom. Sanitize brushes and swap out dirty sponges. It's probably also time to change or rinse the filter in your vacuum. For being so narrow that shallow ledge of the door frame trim can sure collect a lot of dirt. Take a moment to wipe it off with a barely damp cloth. If your trim is particularly ornate with lots of crevices and grooves an old toothbrush might work best. Especially grimy areas or stubborn fingerprints might take a little more elbow grease to remove. 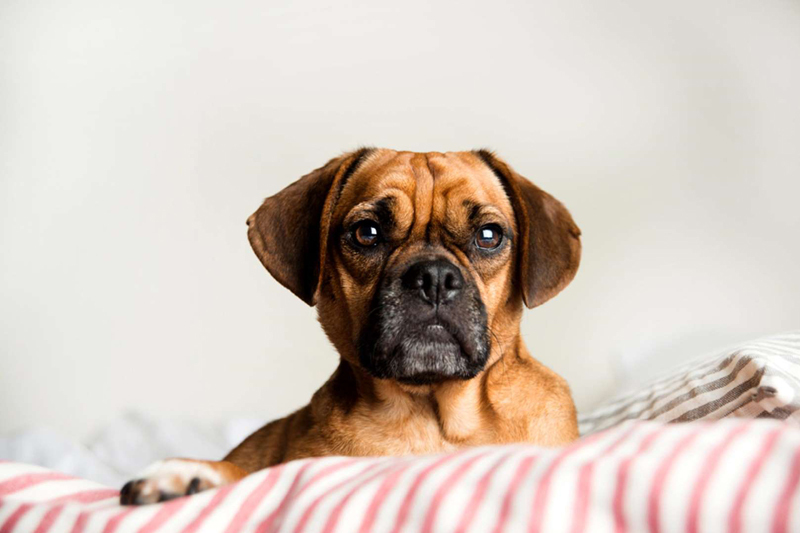 Your furry friend's bed is due for a deep clean. 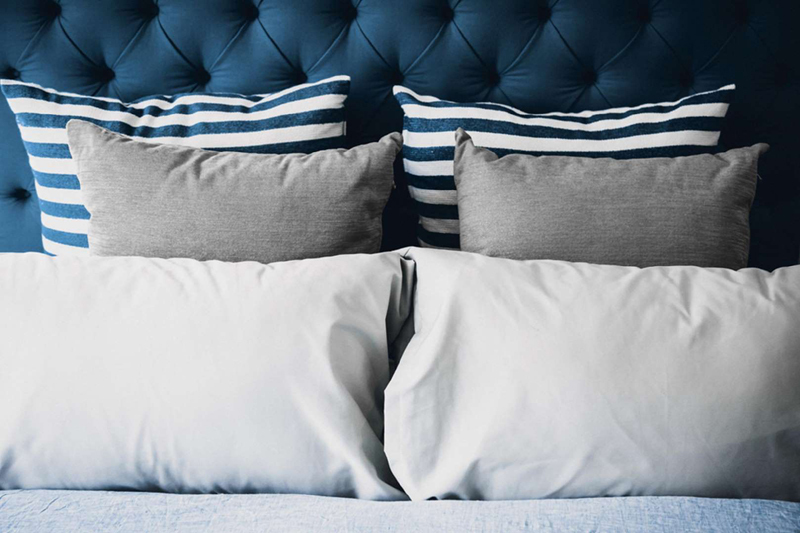 Always follow the manufacturer's washing instructions about how to clean the bed as directions may differ depending on the type of fill inside the bed. Some pet beds have removable covers, which is usually a good indication it can be laundered. Otherwise, it may require simple spot cleaning. Whether you spot clean or wash it in the washing machine using your vacuum to remove as much hair as possible beforehand is key. 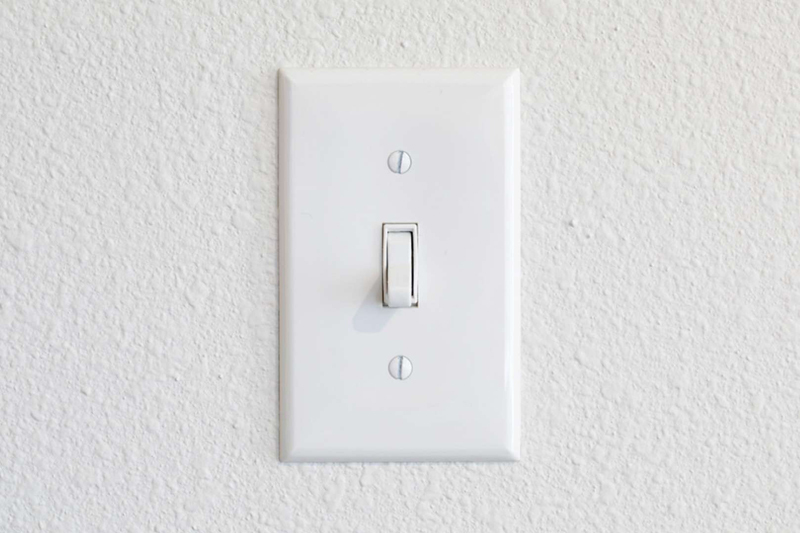 Light switches are one of those things you touch all the time; but when it comes to cleaning, we forget to give them a little attention. From fingerprints and smudges to random marks and smears, chance are they need a touch-up. A gentle disinfecting cleaner on a soft cloth will both clean and sanitize the switch plate. A hot spot for grime and germs, your everyday devices like television remotes and electronic controllers could use a thorough cleaning. 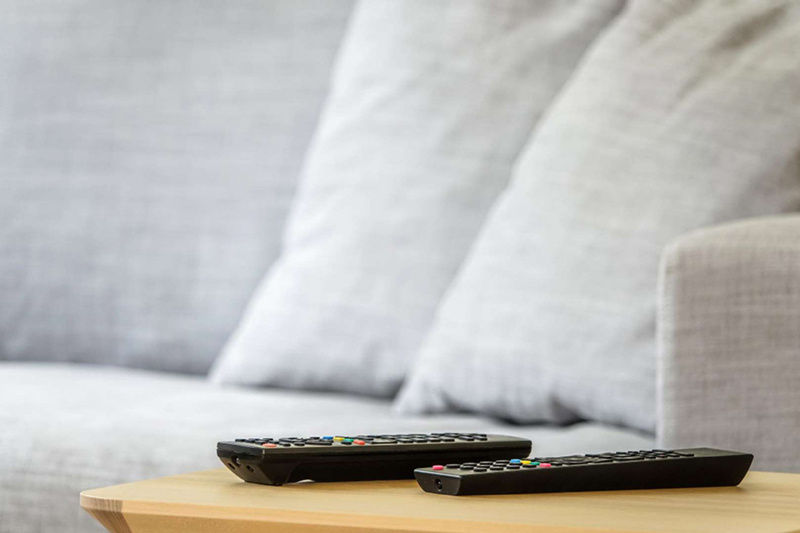 Remove the batteries from the television remotes and device controllers before using a disinfectant cloth to gently wipe them down. Use a cotton swab to remove crumbs from the crevices and to reach the narrow space between the buttons. 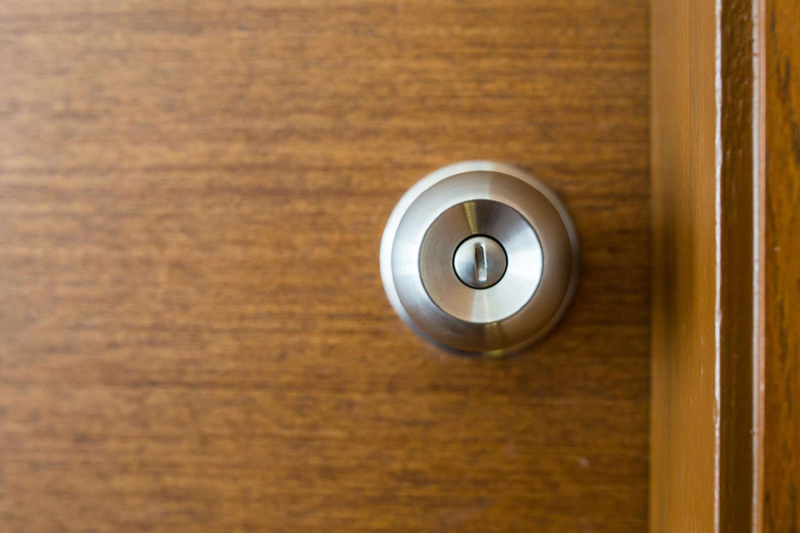 Imagine how many times dirty hands grab the door handles every single day—while you may remember to clean the door, do you remember to clean the knob as well? Use an all-purpose cleaner on a soft cloth to wipe down the handles and knobs. 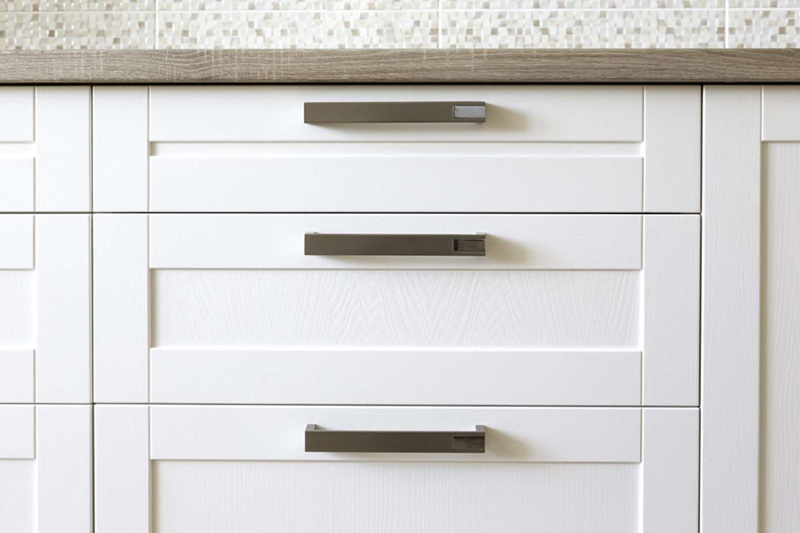 More ornate handles with designs or grooves may need a little more attention in specific areas. Your handy old toothbrush can help with that. You may not use your bathroom exhaust fan, but it can still become caked with dust. Luckily, you can usually reach this spot with a duster with an extendable handle. With the fan turned off, use your duster to clear the grill of any build-up and dust. 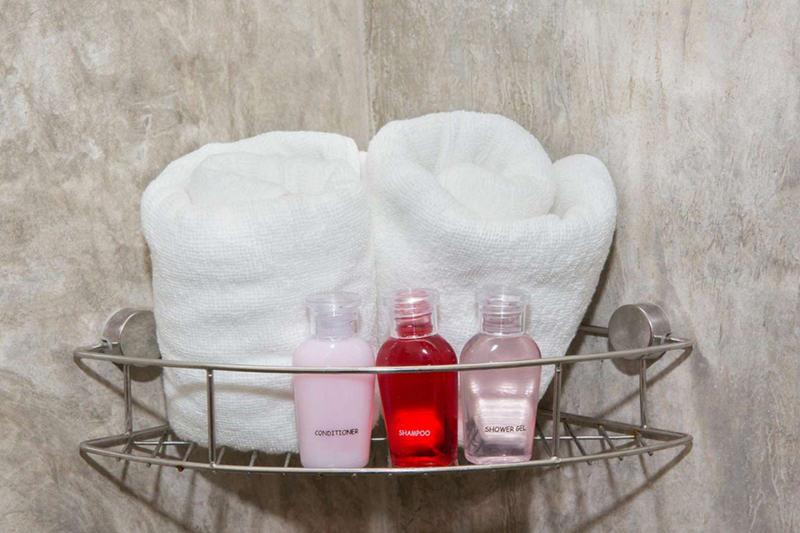 Hanging shower caddies are a convenient spot to stash your shower stuff. Things like soap are visible and easily accessible when stored in one. But what you may not see is the soap residue and the stuck-on glob of shampoo that needs to be addressed. You may be able to simply rinse down the caddy during your shower. But, for more stubborn soap scum or mold, let the caddy soak in hot water with a little cleanser. Once it's clean, hang it up to dry thoroughly before returning your products to the caddy. 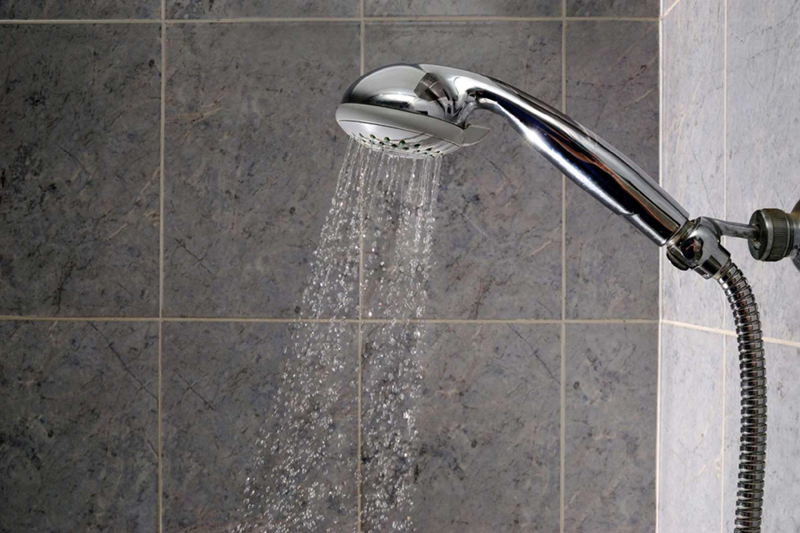 Over time, the shower head nozzles can become clogged. Depending on the quality of your water, you may find hard water deposits or other build-up that needs to be removed. To clean the shower head while it is in place, use an old toothbrush and a gentle cleaning solution. If you can easily remove the head, you can go for a deeper soak in a gentle cleaner for about an hour. Then screw it back onto the pipe and run the shower for a minute to rinse. 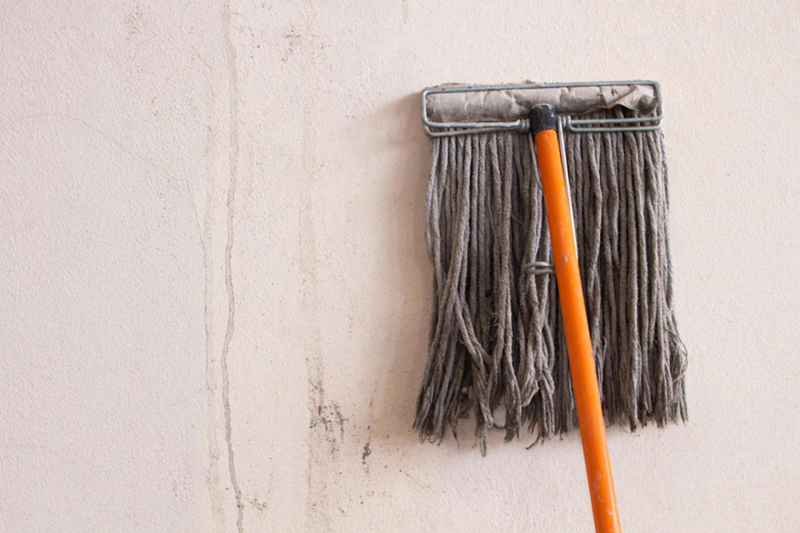 When is the last time you cleared out the cobwebs in the corner or wiped off those dusty walls? Stuff sticks to the surface of the wall, so they could definitely use a spring cleaning. Instead of teetering on a step ladder try using your broom to reach the spots. Wrap a soft cleaning rag around the mop head and use that to reach up high. Alternatively, if you use the disposable pad style mop attach a dry cloth and get to work. 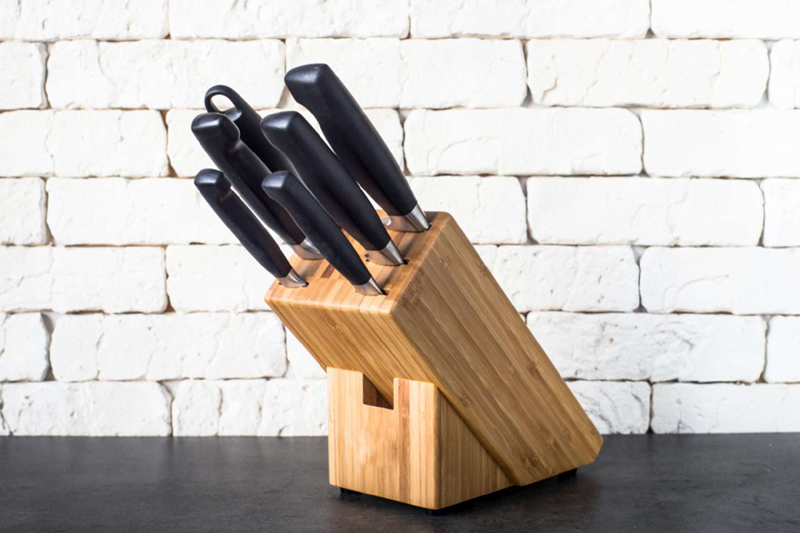 We've all used a knife to slice a piece of bread and returned it to the knife block without washing it. This can result in crumbs in the bottom of the block that need to be removed. Carefully slide the knives out and put them safely to the side. With the knives removed, turn the block upside down over the sink to dislodge any debris. If needed, use a small bottle brush to loosen crumbs in the knife slots. Finish by wiping down the sides of the block and returning the knives to their spots. 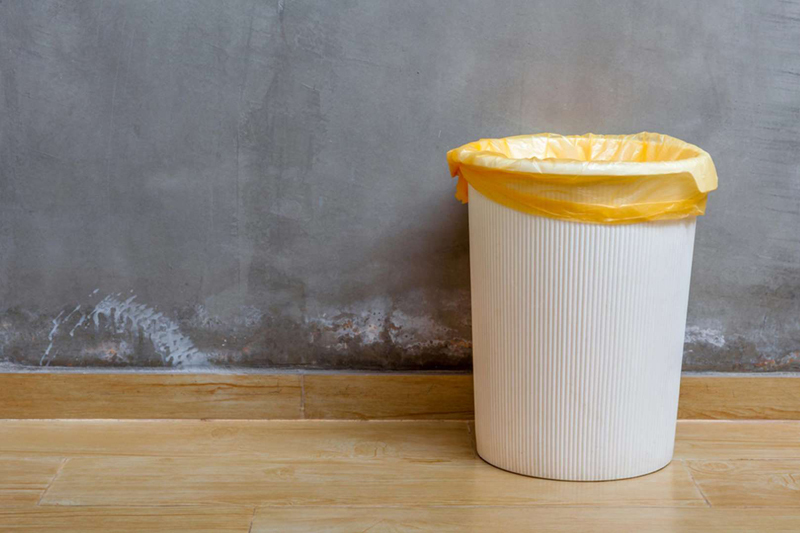 Long after you've taken out the trash, offensive odors can linger, making your trash can stinky. Whether the trash bag leaked, there was a splatter, or just a strong smell in your trash, the can could use a wash. Take out the trash bag, then scrub any stains with a disinfectant cleaner. Next wash and rinse the entire can inside and out. But before you replace the bag make sure the can is thoroughly dry. 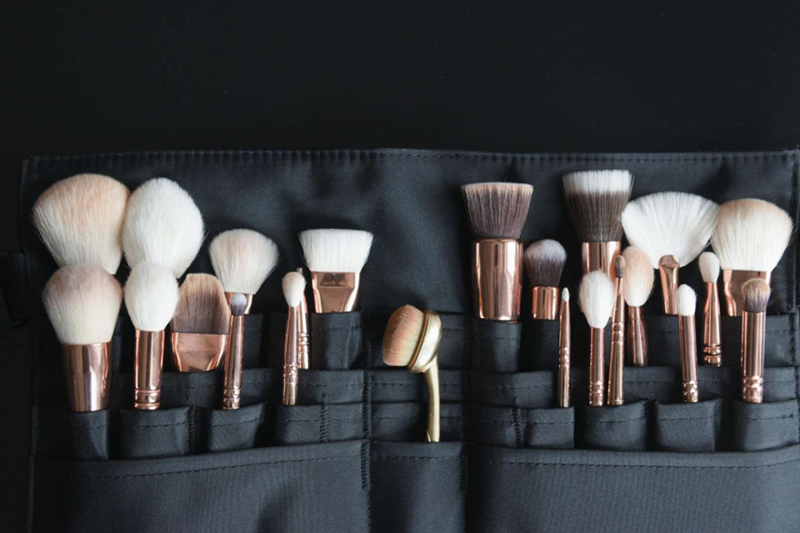 Your makeup bag, something you use every day, is probably long overdue for a little sprucing up. Easily dissolve stuck on makeup from plastic lined bags using makeup remover applied to a soft cloth. An alcohol-based cleansing wipe can be used to disinfect the interior of the bag. Before putting your cosmetics and brushes back inside make sure the bag is completely dry. If yours is a cloth bag, consider hand washing it, then laying it out to dry. Cleaning the medicine cabinet mirror is something you do all the time but how often are you cleaning the shelves? Toothpaste drips, make-up crumbles, and lotion splotches can make a mess. 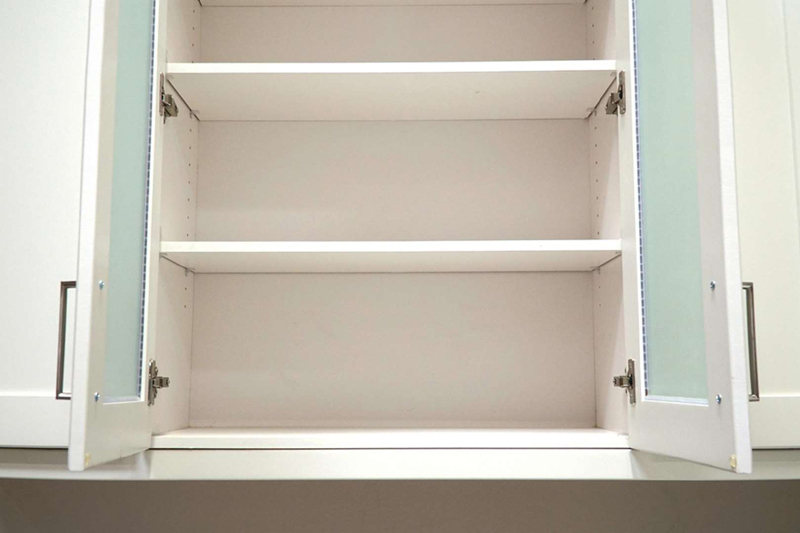 After removing all the items from the inside of the cabinet, give it a thorough once over with a cleaning cloth. The kitchen drawers you use most often are most often forgotten about when it comes to cleaning. But beneath all those utensils and kitchen gadgets are crumbs that need to be swept out of the corners. First, take everything out of the drawer so you can give it a proper cleaning. Rinse the drawer organizers or run dishwasher safe ones through a cycle before putting them back in the drawer. Sweep out loose crumbs and other debris before returning the utensils and gadgets to the drawer. 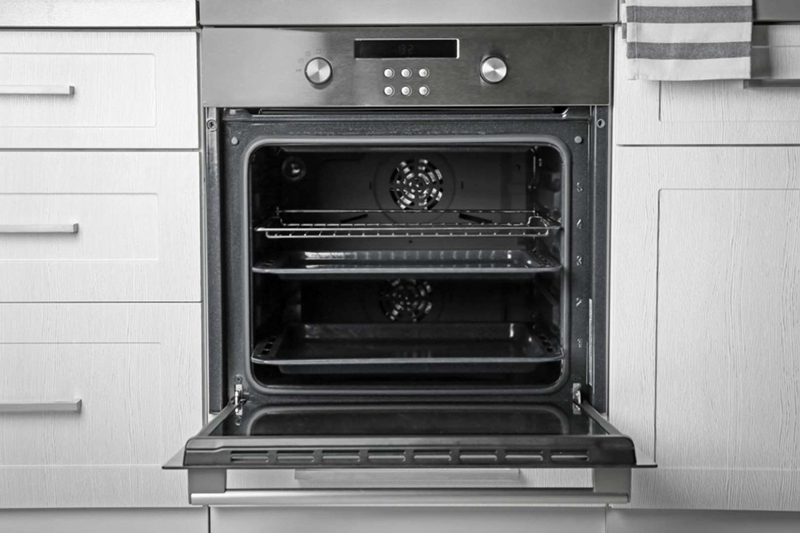 There is one spot in the kitchen where the most gunk tends to accumulate, and that is the ventilation grate for the range. Now is the time spruce it up by removing the grate and giving it a good cleaning. Refer to the instruction manual to see if yours is dishwasher safe. If not, let it soak in some warm soapy water. But if it is not easy to pop off the grate, then while the fan is turned off, use a de-greasing cleaner on a lint-free towel and wipe it down. Those crumbs and food bits that fall or roll under the stove can't easily be seen, but they need to be cleaned out. If your vacuum has an attachment that can fit in this slim space, let it do the dirty work for you. If you don't have one, no problem—try the non-bristle side of a broom. The handle should fit underneath the stove so you can push out any debris.